Yes, They’re Already Scouting Bluebird Houses! 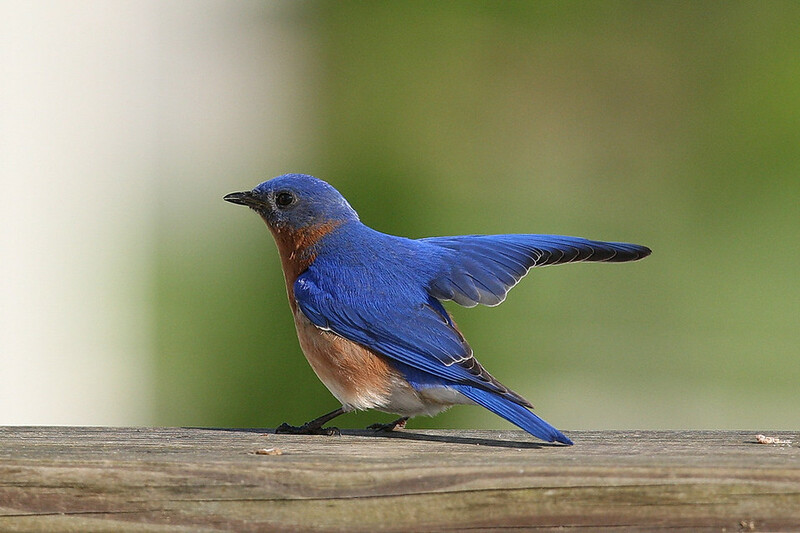 It may seem like spring’s a ways off, but as far north as New England, bluebirds are on the move to pair off, claim nest boxes & territories and start their broods! Photos by David Kinneer… with many thanks for sharing these amazing shots! To visit his awesomely inspiring bluebird images and slideshows, head over to SmugMug… it’s most definitely worth your time! The image above shows the wing wave or wing tip and it’s one of the advanced ways bluebirds communicate with each other. Especially during courtship (happening now) it’s almost an animated signal that says “Come check this nice bluebird house and let’s pair up!” Of course the Mrs. will have to inspect and approve the new digs before the deal is sealed. Now’s also the time when young blues who fledged last spring start getting kicked around by parents. No more big happy families when it comes to nesting, all bets are off. Parents will chase their own sons and daughters from territories they claim for the season. A little sad to watch but all part of Mother Nature’s pecking order (no pun intended). David’s galleries include images/slideshows of many bluebird scenarios, from weather to predators, fledging babies and feeding, it’s truly remarkable and so informative through his images only (nothing to read). 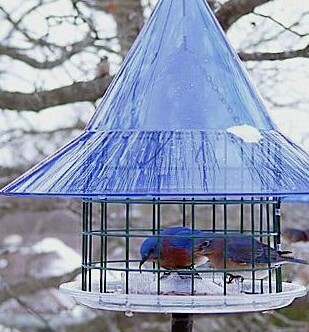 With natural nesting places disappearing- real estate is tough out there for bluebirds and other cavity dwelling birds. Offering a safe place to raise young is both helpful and rewarding. By safe we refer to suitable housing (preferably Bluebird Society Approved) and the commitment to be a responsible landlord. 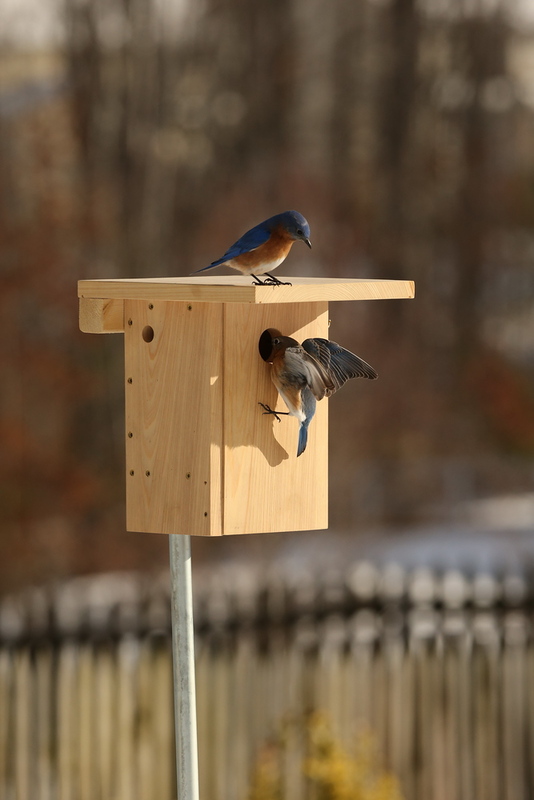 If house sparrows are prevalent in the area, it’s best to avoid putting up a bluebird house just to let them nest… they’re a bluebirds’ nightmare. 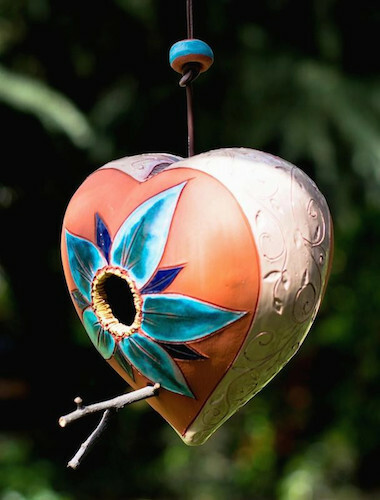 Hey Atlanta… Copper Roof Birdhouses Make Killer Valentine’s Gifts! Happen to be local around Atlanta? Then you’re in luck for the best Valentine’s Day gift ever! Appropriate for him, for her, and of course the birds, our copper roof birdhouses are simply stunning and superb quality… and we’ll even deliver the larger ones personally- with discounts available (but you gotta call us first). Post-mounted with majestic appearance, the real beauty lies in their PVC construction. Although these birdhouses and feeders look like wood… you’ll find none is used. The decorative brackets are vinyl and the finial is a composite resin. It means these fine bird abodes will never split, crack, rot, fade or mildew. Impervious to insect damage too, all roofs lift easily for either nest removal or filling the feeders. Complete with drainage and ventilation for cozy nests, they’re virtually maintenance-free! We can even save you on the handsome post cover too- just ask! 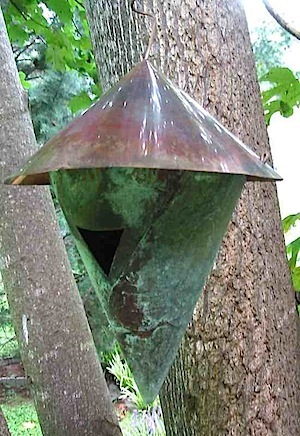 Make this Valentine’s Day super special with a copper roof birdhouse that’s guaranteed to last for life. Available from bluebird to martin size (estate)- which does require some space. By the way, martin scouts have been spotted in northern FL, filtering into GA, AL and SC already. Come on Spring! Flowers are nice but it’s not too late for something great. 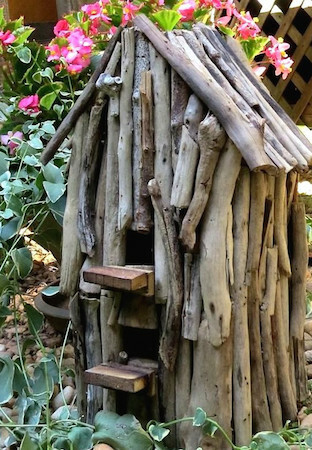 Show some love with an architectural birdhouse for the landscape. 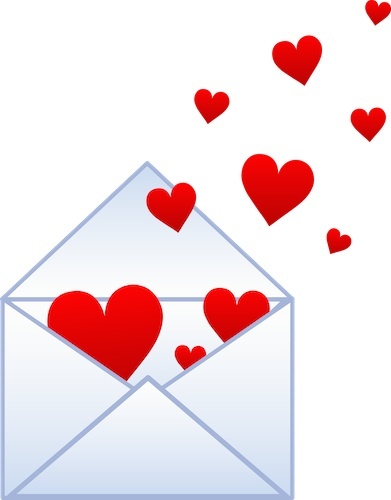 It adds curb appeal and promises to have birds, neighbors and your special Valentine saying wow!